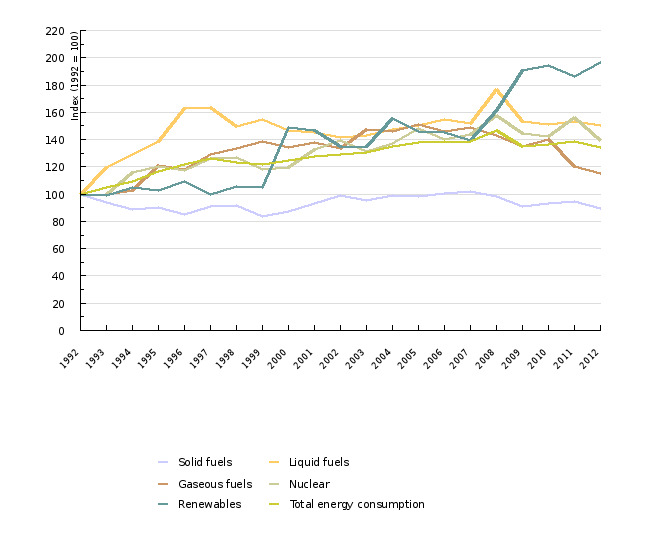 In 2012, total energy consumption decreased by 3.4%, making it the lowest since 2003. Energy consumption reached its peak in 2008. 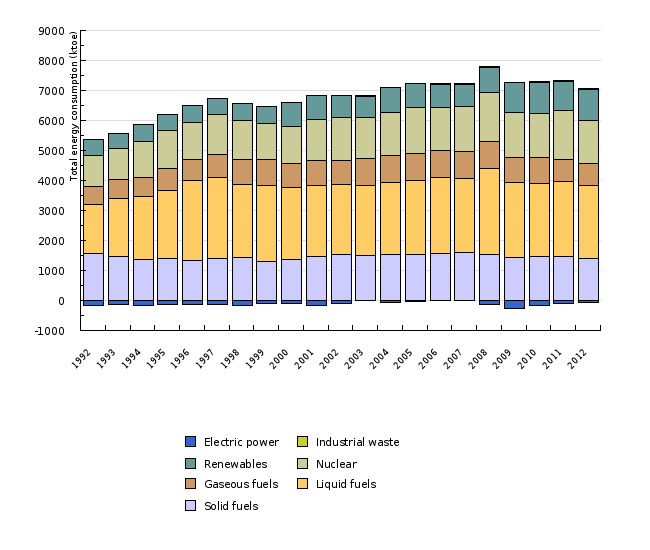 The share of liquid fuels was highest, followed by nuclear energy, solid fuels, renewable energy sources and gaseous fuels. 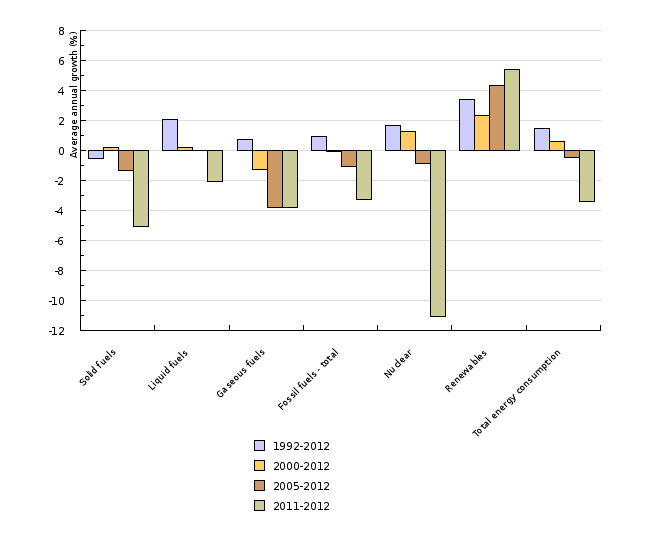 In 2012, only the share of renewable energy sources increased, while the average annual growth of other fuels declined. Total energy consumption growth in Slovenia after 2000 exceeded that of the EU-27. Statistical Office of the Republic of Slovenia, 2012; Jožef Stefan Institute, 2012. Eurostat, 2012; Jožef Stefan Institute, 2012. Objectives summarised by: Resolucija o Nacionalnem programu varstva okolja 2005-2012 (ReNPVO, Resolution on National Environmental Action Plan 2005-2012, Official Gazette of the RS, No. 2/06) and The EU climate and energy package. - EEA, 2012. 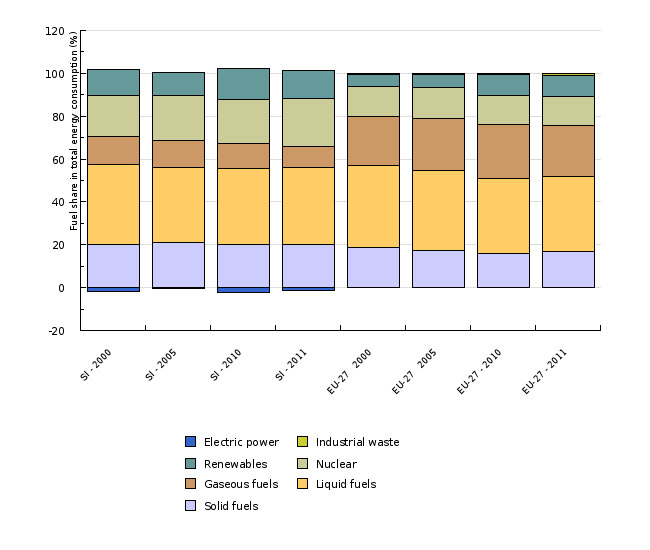 Primary energy consumption by fuel (CSI 029/ENER 026).